Actor Ruth Negga attends the 2017 Film Independent Spirit Awards at the Santa Monica Pier on February 25, 2017 in Santa Monica, California. Ruth Negga brightened up her eyes with some jewel-toned shadow. 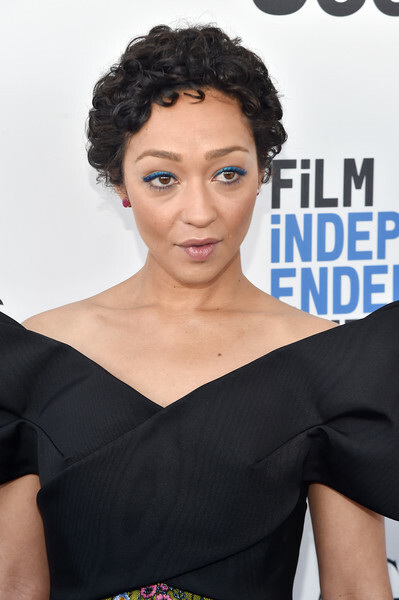 Ruth Negga stuck to her usual short curls when she attended the 2017 Film Independent Spirit Awards.